It’s no secret that Vietnam is one of my favourite places on the planet! From the moment we arrived in Hanoi, I was enamoured by the Indochine architecture, rich culture and unbelievable cuisine. After travelling from Ha Long Bay to the Mekong Delta, Hanoi remains my favourite city in this amazing country. Here I share my top things to do in Hanoi. The first thing you must do in Vietnam is to learn how to cross the road, nowhere more so than bustling Hanoi. There are no road rules, just conventions—where motorbikes are the most popular form of transport. Stepping off the curb into a wave of speeding scooters loaded with people, fresh produce and goodness knows what else, feels like a game of Russian Roulette. For Westerners accustomed to pedestrian crossings and traffic signals, it can take a few days to work up the steely nerve required to perform this seemingly everyday task. When you do conquer it—you feel that little bit more like a local. Hanoi rush hour - do you dare cross the street? The Old Quarter is a beautiful and interesting place to base yourself in Hanoi, where you are surrounded by the bustle of local life. Wander through the so-called “36 streets” (though it has more than that) and discover the beautiful architecture of its shophouses, interspersed with temples, pagodas, and assembly halls. You will notice that commercial activity in the Old Quarter is divided into obvious guilds, each dedicated to a specific trade or service, often reflected in the street name—a guild for hardware, one for textiles, another for religious objects and so on. Take a leisurely walk around Hoan Kiem Lake to see Turtle Tower, Huc Bridge and do some people watching. Sip Vietnamese coffee in a local café or take a rooftop position in Café Pho Co, accessed from a hidden entrance in a silk shop. 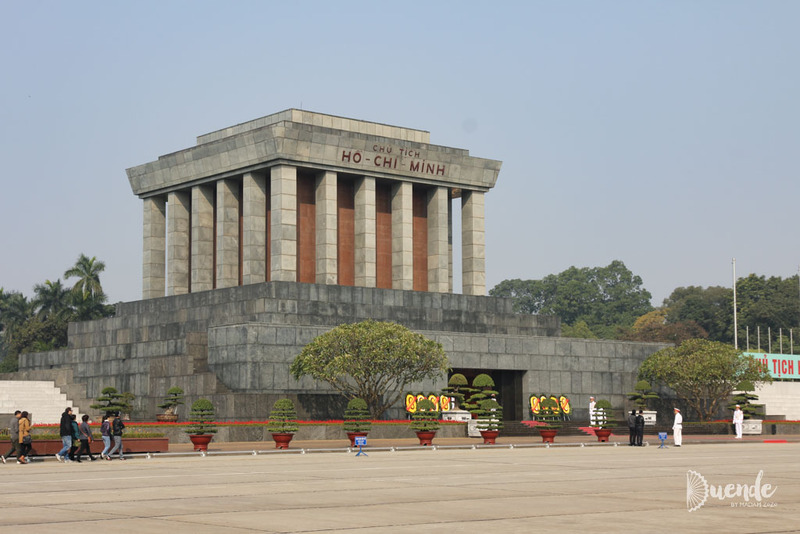 Among the most important places to visit in Hanoi include the Ho Chi Minh Presidential Palace Historical Site which contains Uncle Ho’s imposing, brutalist-style mausoleum. There you will find the embalmed remains of revolutionary and former Vietnam President, Ho Chi Minh (Uncle Ho as he affectionately known to many Vietnamese people) preserved in a glass coffin. The complex is also made up of the European style Presidential Palace built during French rule, taken back symbolically by the Vietnamese using an imperial shade of yellow paint. Ho Chi Minh rejected this as his home during his presidency, so there is also his stilted residence based on traditional Vietnamese homes, a carp pond and a 1000-year old pagoda. Vietnam has 54 officially recognized ethnic groups, which are showcased in the collection of the Museum of Ethnology. The Museum has over 15,000 artefacts which include everything from photographs to clothing, jewellery and everyday objects. 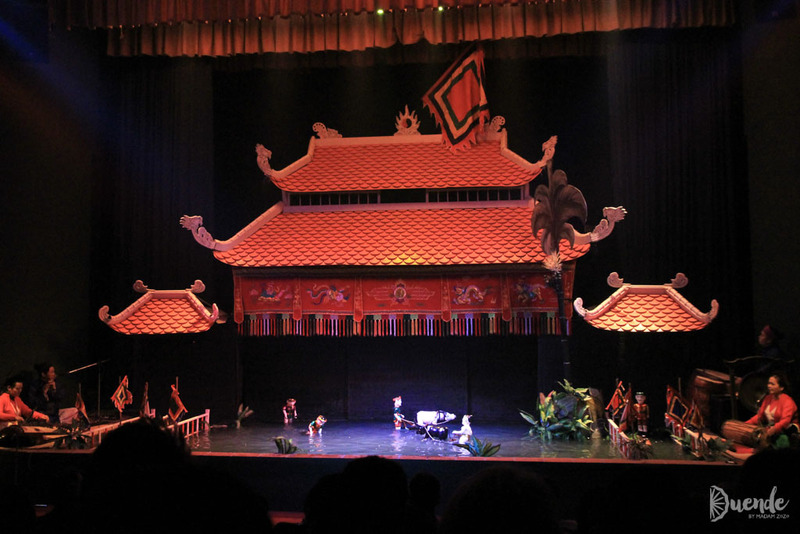 Along with its indoor exhibits, the Museum has an outdoor display complete with replicas of traditional Vietnamese homes and a water puppet stage. Another Hanoi must-see is the Temple of Literature, dedicated to Confucius and like-minded scholars dating back to 1070. The beautifully-groomed complex was the site of Vietnam’s first national university, and consists of various courtyards, pavilions, stelae and sculptures set in lovingly groomed gardens. Even the main gate is stunning. Water puppet shows originated in the rice paddies of northern Vietnam and were traditionally performed in ponds, rivers or flooded rice fields. Hand-carved, wooden puppets and their puppeteers perform alongside an orchestra to tell stories of local folklore, religion and values. I wrote an entire post on our Hanoi water puppet experience here. Find flights to Hanoi with Skyscanner. Have a ball exploring Vietnam’s history and culture with these top things to do in Hanoi. See more amazing places to visit in Vietnam here. Oh the joy of crossing the road in Asian cities! Such a gamble every time. Amazingly, there doesn’t seem to be many accidents on the roads. It certainly feels like Russian Roulette sometimes, but you’re right, far fewer accidents than you’d expect. I’ve heard such great things about Hanoi! But the motorbikes kind of scare me a bit! The bikes take some getting used to, but it’s surprising how fast you adapt. What a great list of things to do. I remember seeing a water puppet show in Thailand and it was lovely. I would also love to visit the presidential palace and the site of the first university. That’s interesting you saw water puppets in Thailand. Do you know if it was a travelling Vietnamese troupe or local Thai production?? The University was my absolute favourite, we were fortunate the day we went that a bunch of graduating students were having their photos taken in their traditional outfits. It added so much to the old-world atmosphere.